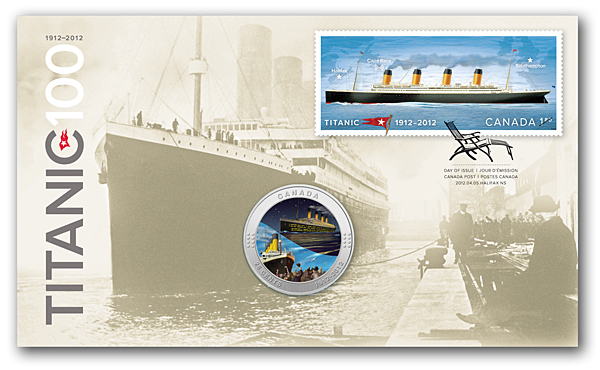 So, Canada Post Celebrates the 100th Anniversary of the Titanic catastrophe. All good, why not. Everyone is doing it and Canada, after all, played a part in the search and rescue effort that followed the Titanic sinking. Halifax even harbor 150 Titanic’s victim graves. Now let’s hope Canada Post won’t forget to adequately commemorates the deadliest maritime disaster in Canadian history. I am talking here about the 1914 sinking of the RMS Empress of Ireland on the St. Lawrence River near Rimouski that killed 1012 people. I hope this historical event will have its own special page on Canada Post (as the Titanic issue does) and that they will also offer a nice Collector Set. Ah, but we have another maritime disaster in which more than 1,500 people died…perhaps they could do a series of stamps or maybe just a We Remember?